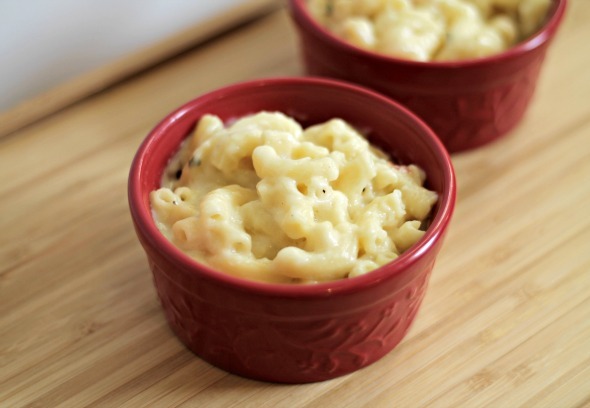 Let’s stuff our faces with some Rosemary Pancetta Macaroni and Cheese. Cheese and pasta. A wonderful combination. I’m a sucker for pasta and cheese. Combine the two together and you have one happy gal right here. Recently I decided to try a new variation of macaroni and cheese; Something different from the two other recipes I’ve made. 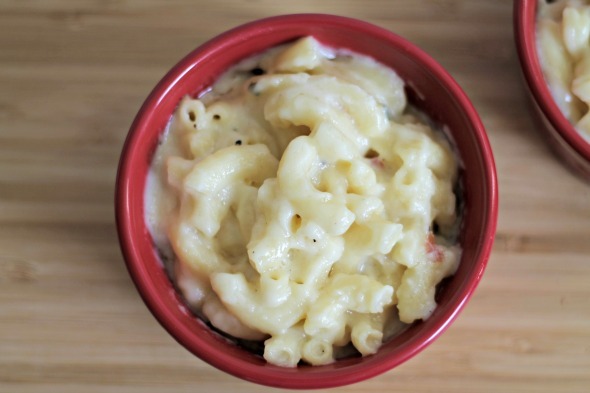 You can check those recipes out right here: Jams Baked Four Cheese Mac n Cheese, Smoky Chipotle Macaroni & Cheese. I wanted to combine some different flavors that aren’t found in a typical dish of macaroni and cheese. I had some leftover pancetta from a previous recipe and an abundance of rosemary (my plant is doing pretty well.) I thought that white cheddar and Parmesan cheese would pair well with the pancetta and rosemary. I thought right. The result was a delicious tangy yet savory dish of happiness. I hope you enjoy this recipe. Add the cream cheese and stir until melted and well blended. Whisk if needed. Add the chopped rosemary, pancetta and pancetta grease and mix well. 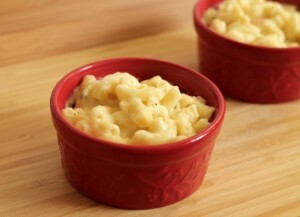 Combine the elbow macaroni and the cheese sauce and pour into a baking dish. Bake at 350 for 20-25 minutes or until bubbly. I love, love, love mac and cheese!! Looks yummy!